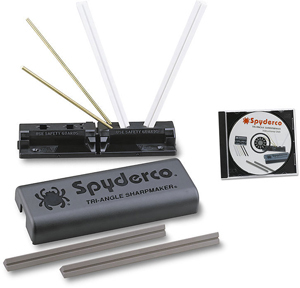 The Dajo Survivor knife is a full, if minimalist, survival kit at a great price. The sharp, wide blade can be used for everything from shaving a branch for tinder to skinning caught animals for food. The notch on the back of the blade is designed to be used as a striker for the Swedish FireSteel that is included, and the cutouts in the handle are designed to allow for the blade to be used as the head of a spear, while at the same time lowering how much weight the kit ads to your pack. Rounding off the kit is the survival whistle, which can be used in an emergency to draw search teams to your location without using up your voice and energy. At $29.95, this is a must have knife for the survivalist on a budget. Also a great gift for the aspiring survivalist. New Schrade Extreme Survival Neck Knives! A really great deal on a simple, but useful neck knife. The Extreme Survival Neck Knife is similar to the popular ESSE (RAT Cutlery) Izula, but less expensive, so you can afford to beat it up or keep it as back up. It features either a simple polycarbonate sheath, or a polycarbonate knuckle guard sheath with an LED light, and is a great deal in either variation at only $18.95. 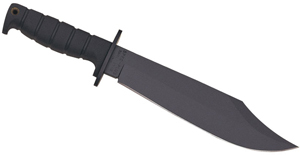 Brands like Ka-Bar, Ontario, and TOPS make excellent knives, designed to take the stress of combat situations. But they have one inherent weakness: They are designed in a country that has not experienced war on its own soil in a hundred years. DUSTAR, making their debut with the Model 1 Arad Combat Knife, does not have that particular problem. As a knife designed and manufactured in Israel, the Model 1 is a product of one of the most dangerous areas in the world. This knife was not made by or for idle knife collectors. It was made by expert knife makers, according to the exacting requirements of the world renowned Israeli military, and it was made to be used in combat. 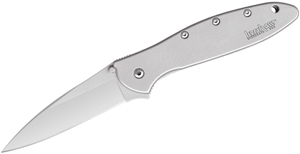 The clip point blade, which also features a live back edge, is made with D2 steel, which keeps an edge for a long time. This lowers the amount of maintenance needed on long trips in the field. The handle is made of practically indestructible fiberglass reinforced nylon, and is tightly attached to the blade with steel pins.